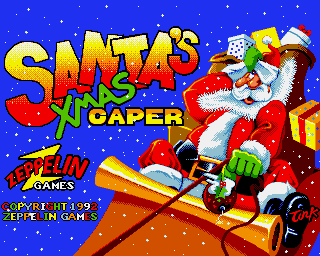 This is the second time the Amiga Game Santa’s Christmas Caper has ended up mentioned here at Reaction. Why? Well before it was because we were looking at Christmas stuff. Now. It’s because when I look back at the Amiga this game brings pretty fond memories. I came across it again recently. The game is now listed on most sites as abandonware (It’s publisher was Zeppelin Games). Basically, it’s a colourful platform game, with pretty graphics and nice music. No, it’s not the best platform game you will ever play, but it added a lot of festivity at that time of year. AND the Amiga was the best system to own this on. The load time was quite minimal compared with other titles of the time. Confession time. I don’t like sports games. I don’t like sports. But here is one football game on the Amiga that I could actually get to grips with. Sensible Soccer. Why could I play this one and not others? Mostly because this one was easier to play. But some of the fun here wasn’t in the game itself. The sheer amount of customisation possible in this game has to be a first. You could edit teams, even create your own, add them to custom leagues, change kit colours. More often then not more time was spent in the menu’s of this game then actually playing it. 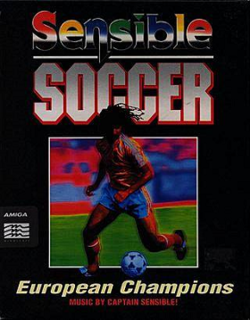 As a bonus some version of Sensible Soccer came on 1 disk, some 2. The closest competitor was the first Fifa International Soccer and that one had 3 disks (and a load between each match). This made it a quick easy play compared to say Street Fighter 2 Turbo’s whopping 11 disks! By going for a more fun approach, with less loading I played this one (usually on 2 players) more than I have any other football games. But that’s not saying much.